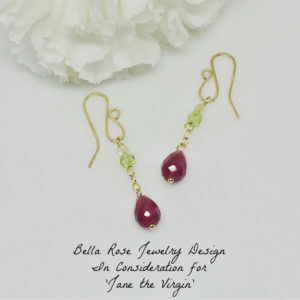 In association with The Artisan Group, these earrings were gifted to the stylist of a CBS hit series, for consideration. 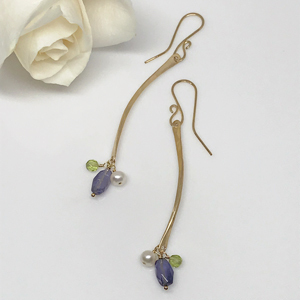 These chandelier style hoop earrings with gemstone dangles were gifted to the stylist of a hit CBS show, for consideration. 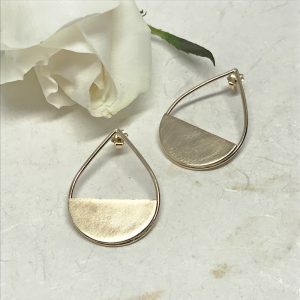 Gold teardrop hoop gemstone earrings. 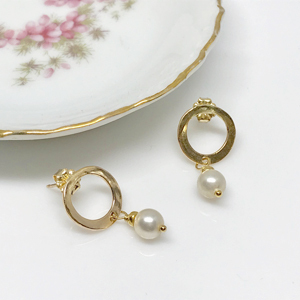 Teardrop shaped hoops are hand forged from gold filled wire. 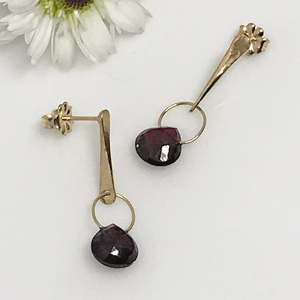 Pretty little gemstones dangle from these teardrops. 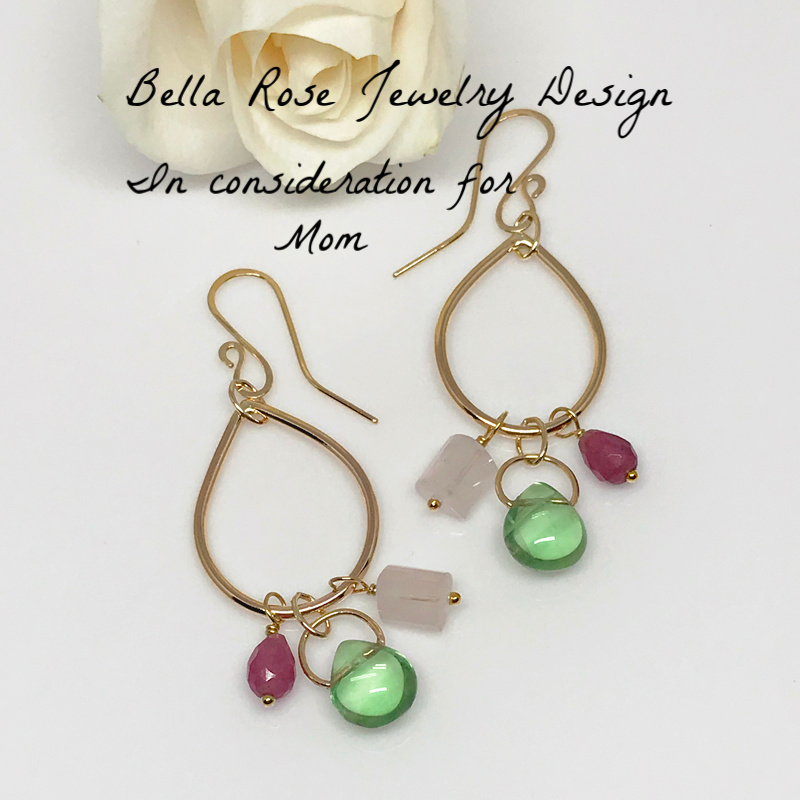 Translucent green fluorite stones are accented with softly hued rose quartz and vibrant purple jade stones. A dazzling color combination, perfect against the gold. 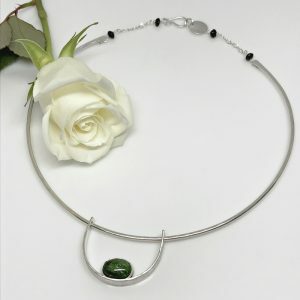 Because of my association with The Artisan Group, I’m able to send pieces to the stylist for a variety of media events. These hoop earrings were gifted to the stylist of a hit CBS series to be considered for use on the show. In addition to being fun and flirty, they’re also colorful and cheerful. An irresistible addition to your accessory collection.